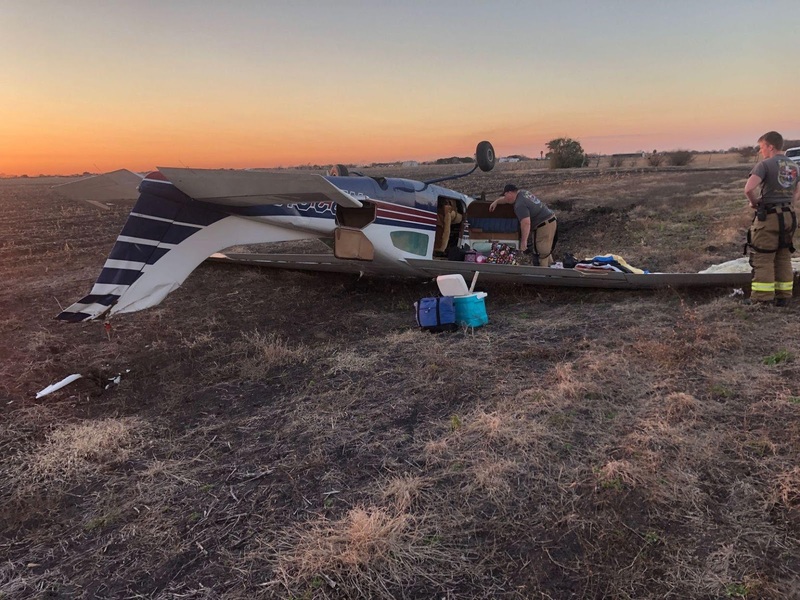 On January 10, 2019, about 1650 central standard time, a Cessna T210L airplane, N2391S, experienced a loss of engine power and performed a forced landing near Port Lavaca, Texas. The pilot and passenger both sustained minor injuries and the airplane was substantially damaged. The aircraft was registered to and operated by a private individual under the provisions of 14 Code of Federal Regulations Part 91 as a personal flight. Visual meteorological conditions prevailed for the flight. The flight originated from an unknown location and was en route to Calhoun County Airport (PKV), Port Lavaca, Texas. While on final approach to runway 14 at PKV, the pilot reported that the engine lost power. Unable to make the runway, the pilot performed a forced landing to a field. The airplane was transported to a hangar for further examination. Two people were injured following a plane crash near the Calhoun County Airport Thursday evening. A Cessna T210L Turbo Centurion II plane crashed in a field on the south side of School Road near the airport. Harold Woodward, 68, of Girard, along with Tracie Bruning, 57, of Robert Lee, were the two passengers in the plane, according to Ruben San Miguel of the Texas Department of Public Safety. San Miguel said that Woodward told Texas Department of Public Safety that the plane engine died and he had to make an emergency landing. San Miguel added that due to the moisture of the ground, the front wheel dug into the dirt and caused the plane to flip forward and rest on its top. Woodward suffered a laceration on his face and Bruning was transported to Memorial Medical Center in Port Lavaca with neck and back pain. Their injuries were not life threatening. The crash site is currently vacated by Texas Department of Public Safety and law enforcement agencies until Federal Aviation Administration, National Transportation Safety Board other agencies investigate the crash tomorrow concluded San Miguel. Calhoun County EMS, Port Lavaca Fire Department and Calhoun County Sheriff’s Office also responded to the call. If I was flying a retractable gear plane and had to make a forced landing in a field, I would leave the gear UP and slide it in on its belly. Would have resulted in less damage. Well from the air I'm sure this soil looked pretty solid unlike say a beach where a belly landing is a no-brainer with a retractable. It's all a judgement. The 210 can handle soft fields just fine...just not hidden very soft soil or dips. Based on the ground photo, I'd probably have put down with gear down as well. That part of the world is black land gumbo (sticky, deep, mud) when it's wet. He missed the road. He didn't manage his fuel very well. Sad to see a Centurion destroyed for no reason but happy the pilot and passenger survived.